Safely dry your hands with the Chenille Hand Towel. This isn’t your ordinary hand towel. The luxuriously soft, yet powerful Chenille Hand Towel is perfect for drying your hands and keeping germs and bacteria away, using our exclusive BacLock® technology. This plush hand towel gently dries your skin and comes with a convenient hanger to attach to a towel rail or keep in countless other locations around your home, anytime or anywhere there may be wet, messy hands! Safely dry your hands with new Chenille Hand Towel! 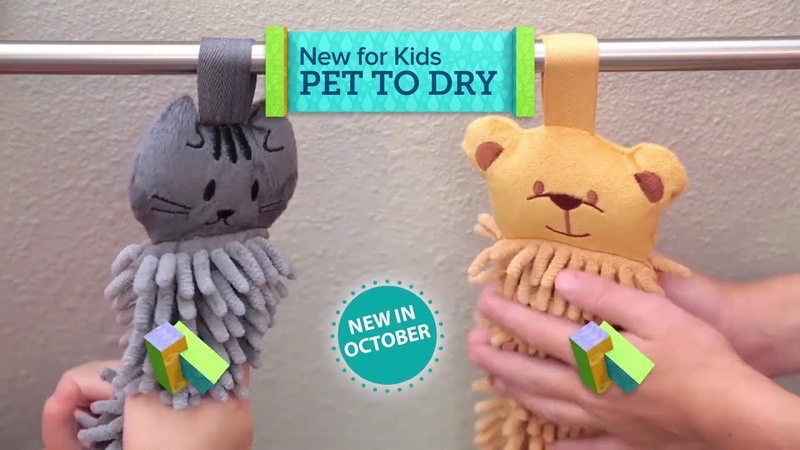 The lush hand towel is made with the same soft chenille microfibre as our Kids Pet To Dry, and even contains the same powerful, exclusive BacLock® technology. On a daily basis, your hands come into contact with countless surfaces that harbour harmful germs and bacteria that could spread disease and infections.